Your privacy is important to us. In lieu of emailing us your application information, you can securely return your application and supporting documents to us via Citrix’s Sharefile service. 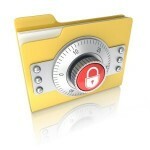 The following link will open a new Citrix Sharefile page, IntegritySurety.Sharefile.Com. After entering your name and email (required), select up to five documents be submitted using the browse buttons and then click “Upload Files.” Your files will be encrypted and securely transmitted to us via a secure server. If you have more than five documents to submit, re-use the page or contact us to request a personal secure file upload link.